Where My Heart Lives...: Finally Friday ~~~ Here's Lookin' at You! What a fabulous photograph! Wow! Not sure about the mama bear. This cub had been trapped for some reason and they had just released him when the pics were taken. 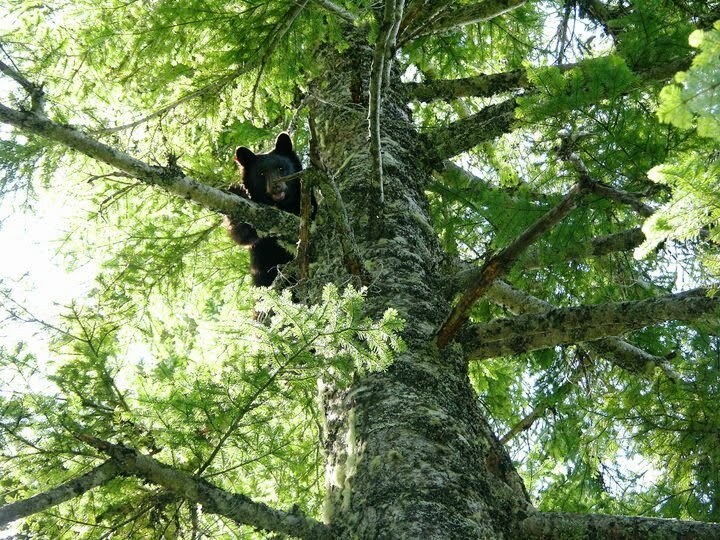 He hightailed it up the tree to wait until the agents left.